There's still time to participate in Color Challenge 53! Remember, you don't have to have the EXACT colors to play. Just use colors inspired by the ones you see below. Add in touches of neutrals like white, black, or kraft, but challenge yourself to incorporate all four of the colors. This challenge features soft colors to inspire you — Kraft, Coral Crush, Cactus, and Gravel Gray. Once you've created your card, you can add it to the InLinkz located HERE. You could win a gift card to the My Favorite Things online store worth up to $20. So I'm just gonna leave THAT right there! A shout out to our challenge participants! We already have quite a few entries for this color challenge, but there is always room for more. 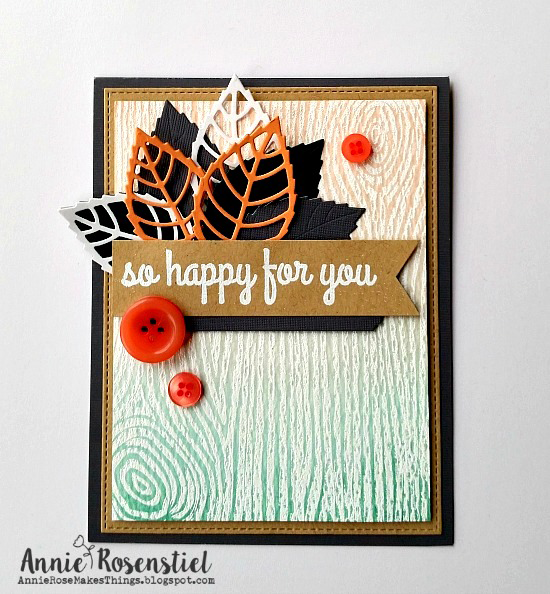 Annie Rosenstiel created this pretty card for Color Challenge 53. I love the resist technique she did with the Woodgrain Background stamp. 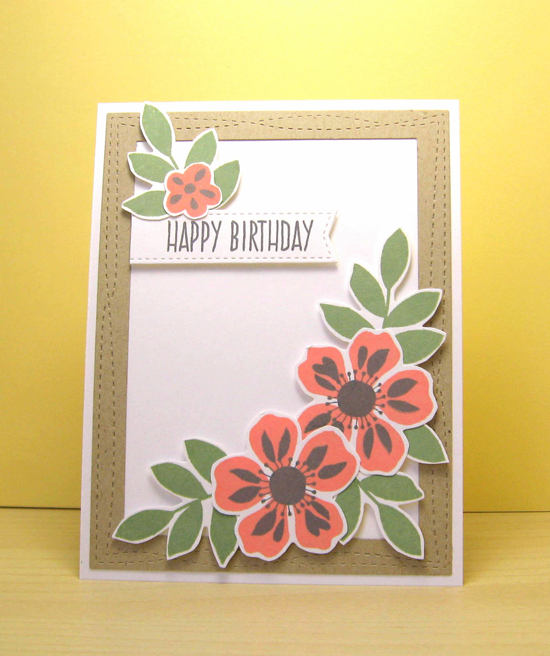 Robin Mayfield created this pretty card featuring the Flashy Florals stamp set and Die-namics and using all sorts of other goodies from My Favorite Things. Simply lovely. OK, so what are you waiting for? If you've never participated in one of our color challenges, this is me officially throwing down a challenge! Let's see what you've got! I feel honored that you chose to highlight my card, thank you!!! These colors work famously for the desert inspiration! :) Lovely entries, ladies.